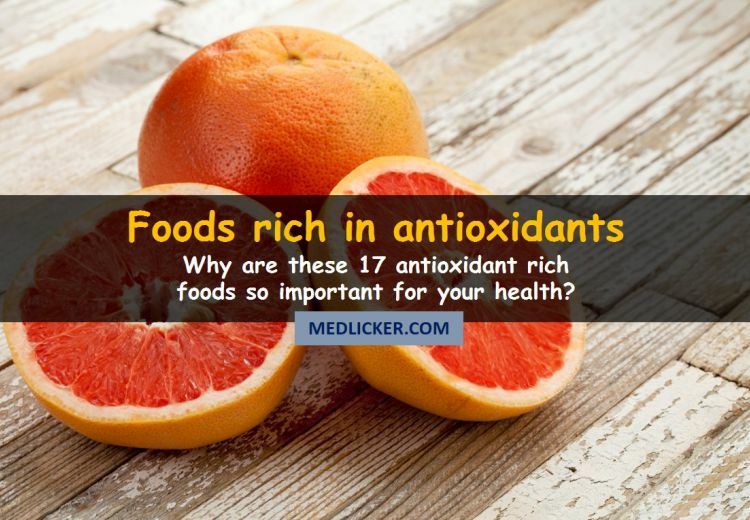 What are antioxidants and how they destroy free radicals? Free radicals (hyperactive oxygen) start a destructive process within your cells, leading to the unsuitability of molecules within them. Thus, a chain reaction begins that can end in either cancer or degenerative chronic diseases. Because free radicals are unstable themselves, they try to attack healthy cells to gain stability. Now the new unstable cells react in the same way and damage the surrounding cells in order to gain stability. Due to this conflict between all the nice (healthy) and bad free radicals, the results are “free radical waste products” made up of our broken, injured and mutated cells. If the cells in your body are weak, this, in turn, causes your organs and body to weaken (1). Oxidative damage plays a key role in many of the modern-day diseases. These include muscle and tissue chronic degeneration, heart diseases, cancer, ocular damage, and many other health problems. Over exposure to the sun, pollutants, taking toxic medications, break down of foods can lead to the formation of free radicals as a by-product (1a, 1b, 1c, 1d, 1e). Antioxidants stop the cellular chain reactions of oxidation by neutralizing the free radicals. Many plants and animals keep a reserve of antioxidants in their bodies, due to their role in counteracting cell damage. Studies have proven that antioxidants can help reduce the cell damage due to free radicals (2). “Antioxidants help prevent the free radical damage, which is one of the causes of cancer”, this is a statement that has been published by National Cancer Institute (3). Free radicals help protect the DNA from damage, thus, in turn, reducing the risk of various cancers (4). Astaxanthin and beta-carotene combined with vitamin E have been shown to be powerful antioxidant combinations for protecting the skin from free radicals (reactive species of oxygen) (5, 6). Vitamin C and E areantioxidants that help protect the brain cells from free radicals. Thus reducing the risk of dementia. A Dutch study concluded that people who regularly consume vitamin C reduced their risk for Alzheimer’s by nearly 34%. Also, people who consume vitamin E regularly slash the threat of dementia (7). Vitamin A is one of the most potent antioxidants. It can be found in many vegetables especially carrots. Vitamin A help protects the eyes and reduces the risk of degenerative macular diseases (8). Antioxidants help to protect the heart and lower the risk of various degenerative disease. Studies show that having a diet rich in flavonoids may reduce the risk of heart disease by 65 percent (9, 10). Antioxidants are abundantly present in various fresh fruits and vegetables. They are also found in nuts and seafood. Here is a list of 17 antioxidant-rich foods you should add to your diet to decrease the risk of serious diseases. These foods are both easily available and yummy. Tomatoes are red juicy fruit that is often mistaken as a vegetable. They are an all season fruit and are available worldwide. Tomatoes contain various nutrients that help boost health. Different forms of antioxidants are present in tomatoes. Carotenoids (particularly lycopene), ascorbic acid, vitamin E, and phenol compounds (is now known flavonoids) are some of the major antioxidants present in tomatoes. Tomatoes also contain vitamin A. A 100g serving of tomatoes contains 17% of the RDI for vitamin A, 21% of the RDI for vitamin C and 3% of the RDI for vitamin E (11). Lycopene is the most prominent antioxidant present in tomatoes. It is a non-provitamin A carotenoid, which is responsible for the red to pink colors seen in tomatoes and various other fruits. Lycopene helps fight the free radicals in the body and reduce the oxidative stress on the body (12). Tomatoes make a healthy and delicious addition to your diet. They are low in calories and high in vitamins and minerals. Tomatoes have no prominent health hazards but excessive consumption of tomato leaves can be toxic to health (13). 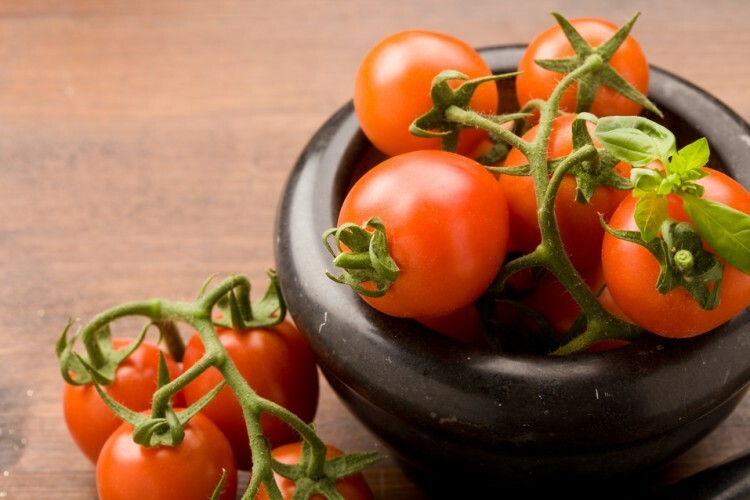 Bottom line: The most prominent antioxidant in tomatoes is lycopene. Other antioxidants include vitamins and phenol compounds. Kidney beans are a legume filled with various nutrients. They are rich in vitamins, minerals, proteins and much more. Phenolic compounds (mainly flavones) are the main antioxidants found in kidney beans. A 100g serving of kidney beans contains 2% of the RDI for vitamin C. This vitamin is also a potent antioxidant (14). Studies have shown that beans are strong cancer-fighting foods, and kidney beans can defend the body against several forms of cancer (15). You can steam, roast or boil kidney beans to your taste. These beans can be mixed with other beans to make chili or bean dip. Eating raw or undercooked beans can lead to vomiting, diarrhea, and abdominal cramps. Always make sure to cook your beans properly before eating (16). Bottom line: Flavones are the prominent type of antioxidants present in kidney beans. They also contain vitamin C.
Pure dark chocolate (not the artificial sugary stuff) is great for your health. It helps reduce the risk of heart disease and boost overall health. Dark chocolate spotlight from the cocoa tree. This plant is one of the best sources of antioxidants. 100g of dark chocolate contains 70-85% of cocoa. Oxygen Radical Absorbance Capacity (ORAC) is a measure of the antioxidant activity of foods. Basically, researchers pit a bunch of free radicals against a sample of food to see how effectively the antioxidants in it can “neutralize” them. Because all these experiments are done in test tubes their merits are questionable (17). Nonetheless, it’s worth mentioning that raw, unprocessed cocoa beans are among the highest scoring foods to have been tested. Polyphenols, flavanols, and catechins are the organic compounds that are biologically active and function as antioxidants (18). A study was conducted that shows that cocoa and dark chocolate contain more antioxidant activity, than other fruits they tested, which included certain berries like blueberries and Acai berries (19). 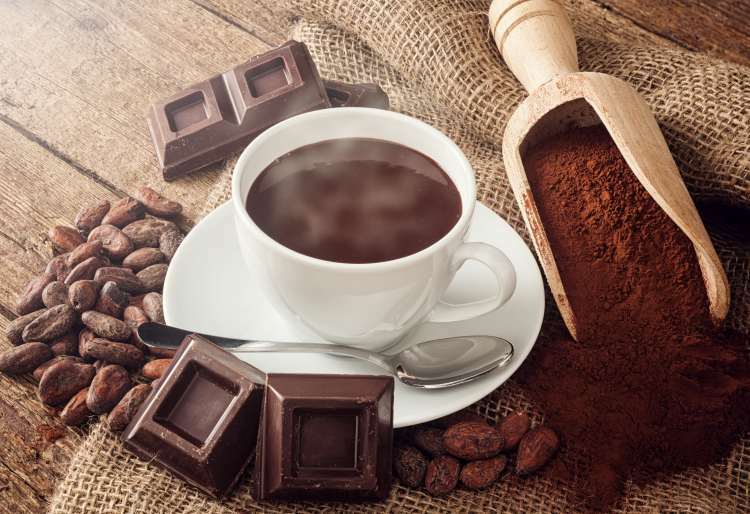 Dark chocolate also contains various minerals, fiber, carbohydrates, and fat. Excessive consumption of dark chocolate can lead to weight gain. Bottom line: Dark chocolate shows one of the highest antioxidant activity. The compounds responsible for this are polyphenols, flavanols, and catechins among others. Your parents knew what they were talking about when they told you to eat your broccoli. This green vegetable is a powerhouse of nutrients. Vitamins, minerals, and phytonutrients are the compounds that contribute to the antioxidant activity of broccoli. Broccoli is a golden example of a food providing all three types of antioxidants. In the vitamin category, 100g of broccoli provides 108% of the RDI for vitamin C, 7% of the RDI for vitamin E, and 31% of the RDI for vitamin A. It also serves as an excellent source of chromium, manganese, selenium, and zinc (20). But it is the phytonutrient category of broccoli's antioxidant that deserves a special mention. Flavonoids like kaempferol and quercetin are present in high concentration in broccoli. Also present in high concentration are the carotenoids like lutein, zeaxanthin, and beta-carotene. These three carotenoids function as key antioxidants (21). You can steam, boil, roast, or sauté broccoli. My personal favorite is cheese roasted broccoli, it’s easy to make and delicious to eat. Eating too much broccoli can lead to gas and bowel irritation. These side effects are mild and the health benefits greatly outweigh the discomfort (22). Bottom line: Broccoli has three types of antioxidant compounds; vitamins, minerals, and phytonutrients. Green tea is one of the healthiest drinks in the world. It can be consumed as such or you can add milk, honey, lemon or cream to enhance the flavor. Green tea is full of nutrients without any fat or carbs. It is loaded with powerful antioxidants like polyphenols, flavonoids, and catechins (23). These compounds reduce free radicals in the body, thus reducing the signs of early aging and risk of chronic disease. Epigallocatechin Gallate (EGCG) is a significant compound found in green tea, which acts as an antioxidant. Studies show that this compound may be one of the main reasons green tea has such powerful medicinal properties. Various studies conclude that those people who drink green tea are significantly less likely to get various types of cancer (24, 25). Try to avoid putting milk in your tea because it reduces the antioxidant value (26). When selecting green tea, try choosing a high-quality brand. Because the lower brands contain excessive levels of fluoride (27). Bottom line: EGCG is the most significant antioxidant found in green tea. Other antioxidants in green tea are flavonoids and catechins. Peanuts are delicious, crunchy and nutty nuts that have been around for centuries. They contain vitamins, minerals, proteins, carbs, and antioxidants. Various bioactive plant compounds are found in peanut, which act as antioxidants. In fact, the antioxidant level in peanuts can rival some fruits (28). While unable to boast an antioxidant level as high as pomegranate, roasted peanuts do rival the antioxidant content of strawberries and blackberries. They also have a higher content of antioxidants than apples, carrots or beets. The skin of peanuts contains most of the antioxidants, which is rarely consumed (29). Peanut kernel is most commonly consumed, so here are a few noteworthy antioxidants present in it. p-Coumaric acid: A polyphenol that is one of the main antioxidants in peanuts (30, 31). Research conducted by a team of University of Florida scientists (published in the journal Food Chemistry) concluded that peanuts have high levels of antioxidant polyphenols (primarily p-coumaric acid). They also concluded that roasting peanuts can increase the level of p-coumaric acid, thus boosting their overall antioxidant concentration by as much as 22% (32). Resveratrol: It is a potent antioxidant that may lower the risk of certain cancers and cardiovascular diseases (33). Isoflavones: These belong to a class of antioxidants known as polyphenols, genistein is the most common. Isoflavones are associated with a variety of health effects, both good and bad because they are phytoestrogens (34). Eating too many peanuts can lead to weight gain. People with hypertension (high blood pressure) should avoid salted peanuts. Bottom line: Peanuts contain various antioxidants like p-Coumaric acid, resveratrol, and isoflavones. Pomegranate is a fruit that is packed full of antioxidants. It is known as a royal fruit. It is juicy, tangy and extremely delicious. Punicalagins are extremely potent antioxidants that are found in the juice of pomegranate as well as in its peel. These compounds are so potent that pomegranate juice has been found to have 3 times the antioxidant activity of green tea (35). Pomegranate seeds are a great source of fiber, while the juice provides vitamin C, potassium, iron, and polyphenol antioxidants. Three types of polyphenols present in pomegranate are tannins, anthocyanins, and ellagic acid. These polyphenols are present in particularly high levels and have beneficial effects on health (36). Vitamin C and E are also potent antioxidants that can be found in pomegranate. Half a cup of pomegranate seeds contains 15 % of the RDI for vitamin C and 3 % of the RDI for vitamin E (37). Keep in mind that pomegranate juice can interact with medications that are broken down by the liver and they also interact with blood pressure meds like ACE inhibitors. So avoid taking pomegranate juice with your medication (38). Bottom line: Punicalagins are potent antioxidants present in pomegranate, they help boost health and prevent chronic disease. Olive oil is one of the most nutritious oil to use for cooking purposes. You can use it for baking, roasting, sautéing or even frying. Olive oil is full of vitamins, minerals, antioxidants and phytochemicals. You can use it for baking, roasting, sautéing or even frying. Olive oil is full of vitamins, minerals, antioxidants and phytochemicals. Decreased risk of heart disease has been associated with Mediterranean Diet studies. A recent group of studies has finally provided us with an explanation of olive oil's cardio-protective effect. 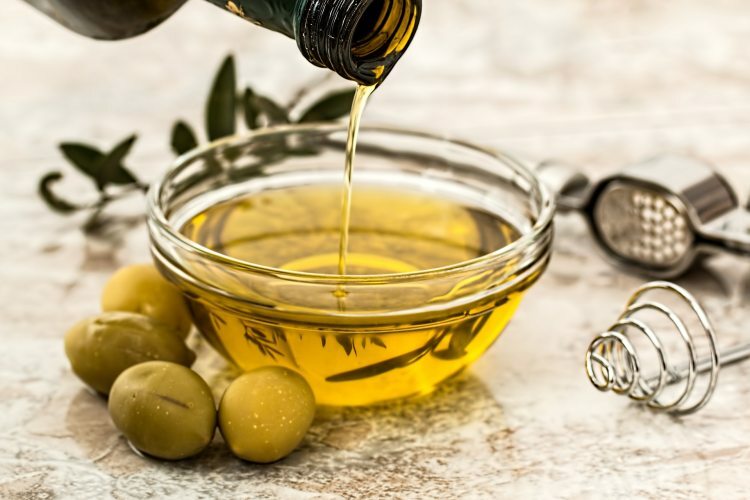 Hydroxytyrosol (HT) is the key polyphenol in olive oil, it helps protect the cells that line our blood vessels from being damaged by overly reactive oxygen molecules (free radicals). HT triggers changes at a genetic level thus it helps to protect the cells of blood vessels. Also, providing antioxidants like vitamin E and beta-carotene is not the only way olive oil supports your blood vessels. It also provides your blood vessels with certain molecules like HT that actually work at a genetic level to strengthen their walls (39). Vitamin E is a powerful antioxidant that is abundantly present in olive oil. Only one tablespoon of olive oil provides 10% of the RDI for vitamin E (40). Olive oil effects blood sugar levels so diabetic people should be cautious while using it (42). Bottom line: Hydroxytyrosol (HT) is the most prominent antioxidant found in olive oil. Olive oil as contains various other polyphenol compounds that have antioxidant activity. Salmon is a delicious fish loaded with tons of nutrients. Salmon provides the body with proteins and various minerals that keep it functioning properly. Astaxanthin is a bioactive compound present in salmon and it is linked to numerous health benefits. Astaxanthin gives salmon its red pigment because it belongs to the carotenoid family of antioxidants. One study showed that daily consumption of 3.6 mg of astaxanthin was enough to reduce oxidation of LDL cholesterol, which could potentially lower the risk of heart disease (43). The omega-3 fatty acids present in salmon is believed to works with astaxanthin to protect the brain and nervous system from inflammation (44). A study in 44 people with sun-damaged skin, who were given a combination of 3 g of collagen and 2 mg of astaxanthin for 12 weeks, showed significant improvements in skin elasticity and hydration (45). Selenium is an antioxidant that is especially important for cardiovascular protection through maintenance of a certain molecule called glutathione (46). Allergic reaction to salmon is a common occurrence. Thus people with a history of allergies should try to avoid salmon. Bottom line: Salmon contains various antioxidants, astaxanthin is by far the most prominent. Garlic has been used for centuries for its medicinal properties. Allicin is an antioxidant present in garlic. This compound is responsible for the pungent aroma and flavor of garlic. The mechanism of action of allicin is unclear (47). Allicin is the compound that provides the largest range of health benefits associated with garlic. Allicin is not present in garlic cloves but is only produced when garlic is either finely chopped or crushed. The more intense the crushing or finer the chopping, the more allicin is produced, thus producing stronger medicinal effects (48). In the antioxidant category, the various types of cysteine are found in garlic are privy to special attention along with glutathione and selenium. Garlic is also an excellent source of the antioxidant minerals (manganese) and vitamins (vitamin C). Research shows that pyruvate (highly common organic acid present in many metabolic reactions) have a capacity to provide us with antioxidant support (49). Due to the presence of selenium in garlic, it helps to boost the effectiveness of the network antioxidants, vitamin E, vitamin C, glutathione, coenzyme Q-10, and lipoic acid (50). Eating garlic can give your breath a bad odor and sometimes it can cause heartburn. Bottom line: Allicin is the prominent antioxidant present in garlic. Selenium helps boost the effectiveness of other antioxidants. Spinach is one of the most nutrient-dense vegetables in the whole world. It contains vitamins, minerals, phytonutrients, antioxidant and various other bioactive compounds. Carotenoids like lutein and zeaxanthin are abundantly present in spinach. Phytochemicals (another group of antioxidants) found in spinach help protect the body against various disease. The most prominent phytochemical is quercetin (51). A study was conducted that shows that not only does spinach provide the body with antioxidants but it also improves the status of body’s own antioxidants (52). Spinach contains vitamin A, vitamin C, and vitamin E, all these vitamins are potent antioxidants. 100g of spinach provides the body with 188% of the RDI for vitamin A, 47% of the RDI for vitamin C and 10 % of the RDI for vitamin E (53). People with kidney problems should try to limit their intake of spinach because it can cause crystal formation in the kidney and aggravate the problem (54). 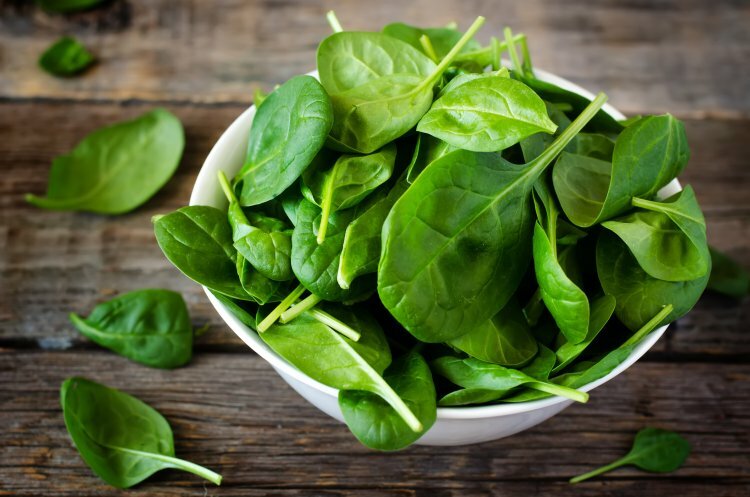 Bottom line: Carotenoid and vitamin antioxidants are predominantly present in spinach. Carrots are a crunchy, tasty and nutritious root vegetable. They have numerous health benefits because they are full of vitamins, minerals, phytochemicals, and various other bioactive compounds. When we talk about antioxidants present in carrots we think of carotenoids. After all, carrots have one of the highest content of beta-carotene. The absorption is up to 6.5 fold better when the carrots are cooked (55). Polyacetylenes is a category of phytonutrients present in carrots and this nutrient has recently stolen the spotlight from carotenoids. The most important polyacetylenes present in carrots are falcarinol and falcarindiol. Studies show that polyacetylenes can help inhibit the growth of colon cancer cells, especially when these polyacetylenes are found in their reduced (versus oxidized) form. The interaction between carotenoids and polyacetylenes in carrots has been shown in recent studies. The carotenoids present within carrots not only helps prevent oxidative damage to the body, but they also help prevent oxidative damage to the polyacetylenes present within carrots. So it seems that two of the prominent antioxidants present in carrots work synergistically to maximize health benefits (56). A 100g serving of carrots contains more than 3 folds of the RDI for vitamin A. Moreover, 10% of the RDI for vitamin C and 3% of the RDI for vitamin E can be obtained from just 100 g of carrots. All these vitamins have an antioxidant effect (57). Allergic reaction to carrots is a possibility. Eating excessive amounts of carrots may lead to skin discoloration and gas (58). Bottom line: Carotenoids and polyacetylenes are the most prominent antioxidants present in carrots. This vegetable is also high in vitamins with antioxidant properties. Beets are a delicious and juicy root vegetable that has both antioxidant and anti-inflammatory properties. They are very rich in minerals, vitamins, phytonutrients and many other compounds. The striking thing about beets is the unusual mix of antioxidants present in them. You probably know that bright colored vegetables are rich in antioxidants called carotenoids (in particular beta-carotenes). And when it comes to the red color we assume it’s due to anthocyanins. Beets show their antioxidant uniqueness by getting their red color primarily from betalain (antioxidant pigments) (59). Beets are a very good source of the antioxidant minerals (manganese) and vitamins (vitamin C). The unusual phytonutrients in beets provide antioxidant support in a different way than other antioxidant-rich foods (60). Betalains are gaining fame within the scientific community. They were discovered in 2001 as a type of antioxidants found most primarily in red beets. Medical researchers are optimistic that eating beets and drinking beet juice may be a helpful in reversing the damage caused by free radicals that can lead to chronic degenerative diseases (61). Eating too many beets can cause the color of your urine to darken. Bottom line: Betalains is the main antioxidant present in beets. Vitamin C and manganese also show antioxidant activity in beets. Avocados are a unique fruit because they have a high content of healthy fatty acids, while most fruits are primarily carbohydrates. They contain loads of minerals, proteins, fiber and antioxidants. They contain loads of minerals, proteins, fiber and antioxidants. Not only do avocados have a high antioxidant content, they also help with the absorption of antioxidants from other foods. Lutein and zeaxanthin are important antioxidants present in avocados and they are incredibly important for your eye health (62, 63). Studies have linked these two nutrients with a decrease in the risk of cataracts and macular degeneration, which are a common occurrence in the elderly (64). Avocados contain a variety of different antioxidants. The conventional nutrients include manganese, vitamin E, and vitamin C, while also containing unique phytonutrients like carotenoids, flavonoids, and phytosterols. (65). A 100g serving of avocados contains 17% of the RDI for vitamin C and 10% of the RDI for vitamin E (66). Excess intake of avocados can cause liver damage because of its high-fat content. 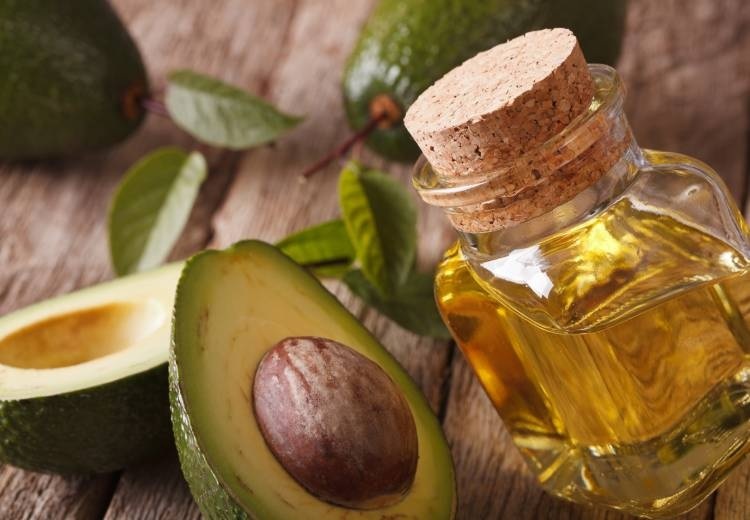 Whether the consumption of avocados is safe during pregnancy and lactation is debatable. So to stay on the safe side, avoid avocados during those times. Bottom line: Avocados contain both conventional (vitamin C and E) and unique (phytonutrients) antioxidants. Cranberries are sour and tangy that is the reason they are rarely eaten raw. They are often consumed in the form of juice, either flavored with sugar or mixed with other fruits. There are two important reasons why the antioxidants in cranberries have great health benefits. Firstly, the amazing combination of antioxidants that are available exclusively in cranberries. The special combination includes phenolic antioxidants like proanthocyanidin, anthocyanin, flavonoid, and triterpenoid. Resveratrol, piceatannol, and pterostilbene are also a unique combination of antioxidants that are found in cranberries. Second reason is the synergy between these antioxidant nutrients. The unique phytonutrients found in cranberry provide best antioxidant benefits only when they are taken with each other. And also only when taken alongside manganese and vitamin C (conventional antioxidant) present in cranberries (67). Most of the bioactive plant compounds are concentrated in the skin of cranberries and are greatly reduced in cranberry juice (68). A 100g serving of cranberries contains an abundance of vitamin C (22% of the RDI) and manganese (18% of the RDI). These are conventional antioxidants present in cranberries (69). Cranberry juice and its extract contain a large concentration of oxalate (it is the primary component in kidney stones along with calcium). Research has shown that some cranberry extract tablets can boost the level of oxalate by 43% in the urine. So people with a history of kidney stones should use cranberries juice and extract with caution (70). Bottom line: Cranberries contain unique phenolic antioxidants, as well as conventional antioxidants like vitamin C.
Strawberries are one of the most decadent berries in the world. They can be consumed as juice, smoothie, baked in pies or tarts, chocolate strawberries and so on. Researchers have studied the total antioxidant capacity (TAC) of strawberries in comparison with other fruits and other food groups. It is now known that about 30% of the TAC in strawberries is due to their vitamin C content. A 100g serving of strawberries contains 98% of the RDI for vitamin C (71). Along with vitamin C, strawberries contain diverse polyphenol content that are key antioxidants and anti-inflammatory nutrients. Strawberries are an excellent source of manganese, which is a mineral that plays a vital antioxidant role as a cofactor for the enzymes (like superoxide dismutase). One cup (200 g) of strawberries contains 29% of the RDI for manganese (72). Lutein and zeaxanthin are two carotenoids that are also present in strawberries, albeit is small concentration. Ellagitannins are beneficial antioxidant nutrient present in strawberries and their concentration changes along with the ripening of the berries. The green stage, the veraison stage, the ripe stage, and the overripe stage are four stages of strawberry ripening. The ellagitannin concentration of strawberries decreases from stage to stage across their lifespan. While this is not reason enough to choose unripe strawberries, it is reason enough to not choose overripe strawberries (73). Bottom line: Strawberries get their main antioxidant strength from vitamin C.
Oranges are a tangy citrus fruit that is notorious for their vitamin C content. They also contain various other vitamins, minerals, antioxidants and so on. Vitamin C plays a vital role in proper functioning of the immune system in addition to being a potent antioxidant. One large orange contains 163% of the RDI for vitamin C (74). Oranges are rich in various bioactive plant compounds that have an antioxidant effect. Carotenoids and phenolic compounds are two of the main antioxidants in oranges. Flavonoids (mainly hesperidin and anthocyanins) are the most common phenolic compounds found in oranges (75). Anthocyanins give oranges their red color. 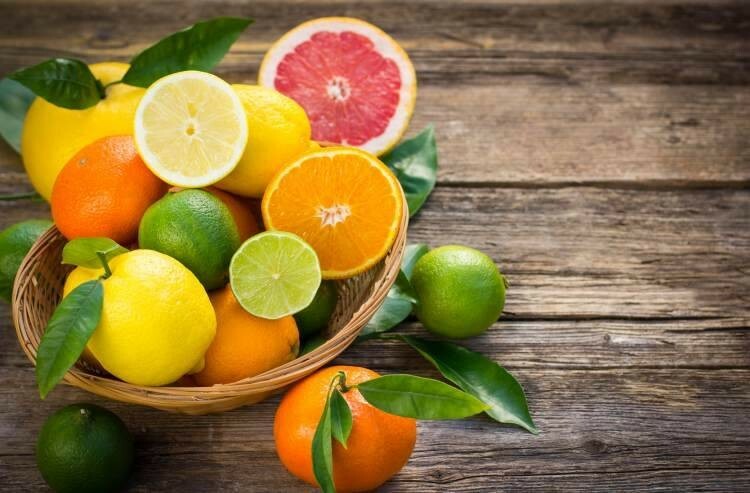 All citrus fruits contain an abundance of carotenoids. Beta-cryptoxanthin and lycopene are important carotenoids present in oranges (76). The hesperidin molecule in oranges is arguably the most important flavonoid in oranges. It has been shown to reduce high blood pressure in animal studies and to have strong anti-inflammatory properties (77). It is important to remember that most of the phytonutrients and antioxidants are found just under the peel of oranges (e.g. in the inner white pulp). Therefore, eating organic oranges is healthier than drinking orange juice as raw oranges contain more antioxidants and phytonutrients and fewer calories and carbohydrates than orange juice. Bottom line: Oranges are a rich source of vitamin C and phytonutrients that act as antioxidants. Antioxidants are compounds that help your body fight free radicals and reduce the stress on your body. Free radicals are hyperactive oxygen molecules that damage the cells in the body. These damaged cells are thus more susceptible to change into cancerous cells. Free radicals also damage your skin cells and cause premature aging. Having a proper diet that is packed full of antioxidants helps the body to neutralize the free radicals. The richest sources of antioxidants are fresh fruits and vegetables. Pomegranate, apples, oranges, and tomatoes are some of the antioxidant rich fruits, while antioxidant-rich vegetables include beets, broccoli, spinach, and carrots. Green tea is one of the most antioxidant-rich drink in the world. Dark chocolate is an antioxidant heaven for chocoholics. Many nuts are also chock full of bioactive compounds that exhibit antioxidant properties.